If we’ve learned anything this year, it’s that time is up for professional industries that ignore inequality and underrepresentation. Within the practice of architecture, that means taking on diversity and inclusion while addressing uncomfortable challenges in education and workplace culture in a profession with deeply established patterns. Times are changing in this aging, white male-dominated field, and architects of all backgrounds are being celebrated for their contributions to design. 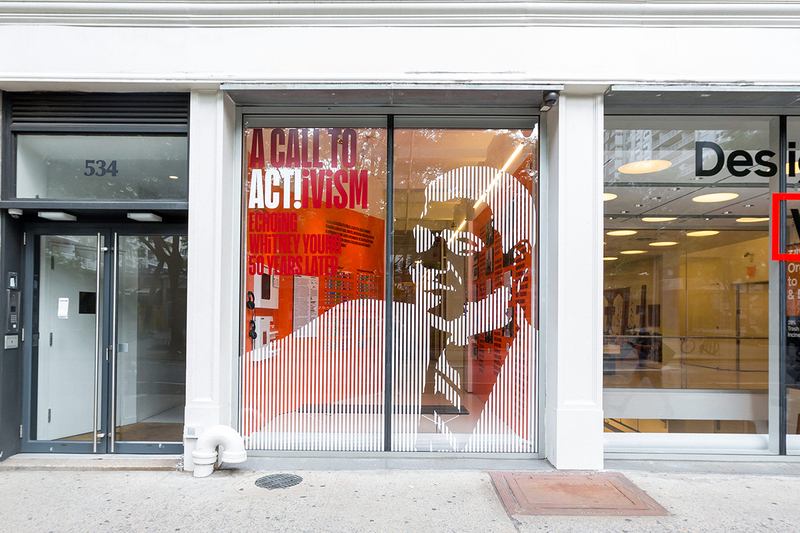 At the forefront of this heightened awareness is a new exhibition from AIANY at the Center for Architecture in New York titled, A Call to Act(ivism): Echoing Whitney Young, 50 Years Later, now on view. The exhibition comes on the heels of the AIA 2018 Conference on Architecture in June, where current AIA president Carl Elefante reminded the audience of Young’s influence on the profession. In his renowned and heated speech at the 1968 AIA National Convention in Portland, Oregon, the former National Urban League executive director questioned the industry’s lack of integration and pushed for architects to take a stand and involve themselves more seriously in the turbulent political climate of the 1950s and ’60s. 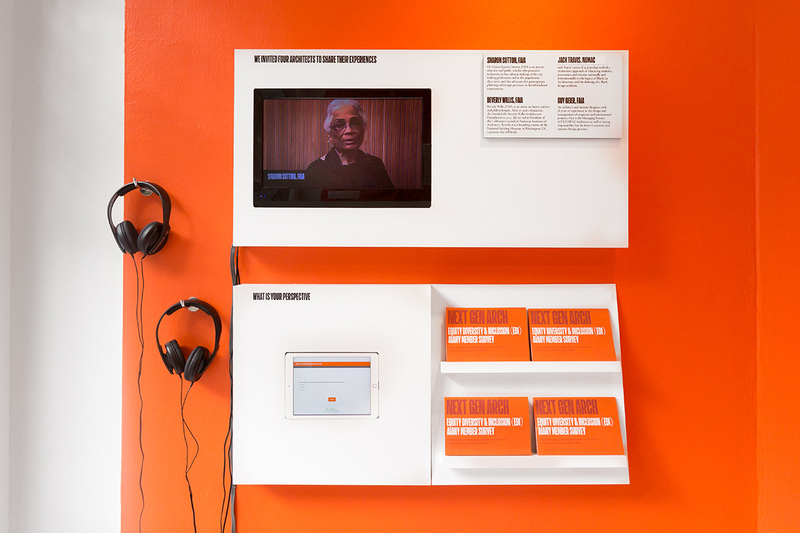 The exhibition displays key moments in Young’s career when his charismatic voice put him on the national stage, putting the spotlight on issues of urbanism. The small but powerful show suggests that the dialogue surrounding diversity within architecture is not new and that the critical words of Whitney M. Young Jr. are just as relevant as ever to the profession. Curated by Danei Cesario, AIA NCARB and associate at Array Architects, the show identifies a parallel between Young’s work and the calls-to-action resonating among practitioners today. Today, it’s necessary for architects to be broadly aware of the issues affecting the world and the development of its major cities. The idea that architecture is separate from politics was absurd, according to Young, and to be integrated into the public discourse, architects must not stay silent as they build out communities. A Call to Act(ivism) urges architects to challenge the status quo still existing within the profession and details current data on the local industry by dissecting the demographics of New York’s design community. 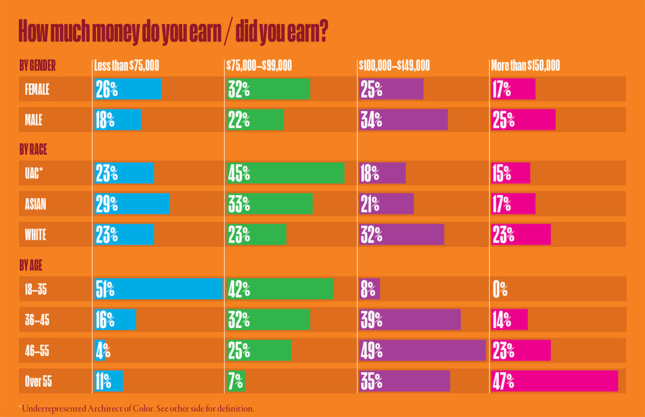 The data on display was collected in the 2017 AIANY Equity, Diversity & Inclusion (EDI) Member Survey put together by the committee. Cesario hopes the information, which will be followed-up with additional surveys over the next two years, can serve as a showcase for how the profession is annually progressing. The committee will put out a report on its initial findings at the end of this year. What do you personally do to promote diversity and equity within architecture? What can be done collectively towards this goal, within our industry and beyond? Visitors can share their own perspective in a digital survey and listen to the views of leaders like Sharon Sutton, Beverly Wills, Jack Travis, and Guy Geier. 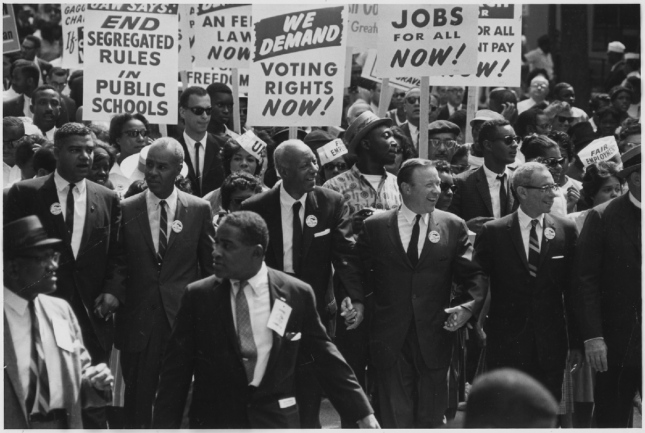 Unfortunately, we’re still struggling with iterated versions of the same issues Young called out fifty years ago, but the show encourages you to consider how you might be an activist within your own firm in order to eradicate these issues once and for all. A Call to Act(ivism): Echoing Whitney Young, 50 Years Later is on view at the Center for Architecture through September 15. It was curated by Danei Cesario, AIA NCARB and designed by graphic artist Manuel Miranda. AIA New York Center for Architecture Whitney M. Young Jr.